Claude Lévi-Strauss tells us that people think about the world in terms of binary opposites—such as high and low, inside and outside, person and animal, life and death—and that every culture can be understood in terms of these opposites. "From the very start," he wrote, "the process of visual perception makes use of binary oppositions. 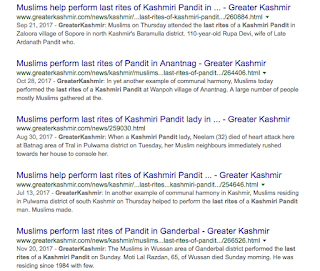 In the narrative of Kashmir, if Kashmiri Pandits and Kashmiri Muslims are the binary, under what conditions do these binaries interact with each other? Is there a pattern to the narrative used to define the relation between there binaries? Perhaps there is. 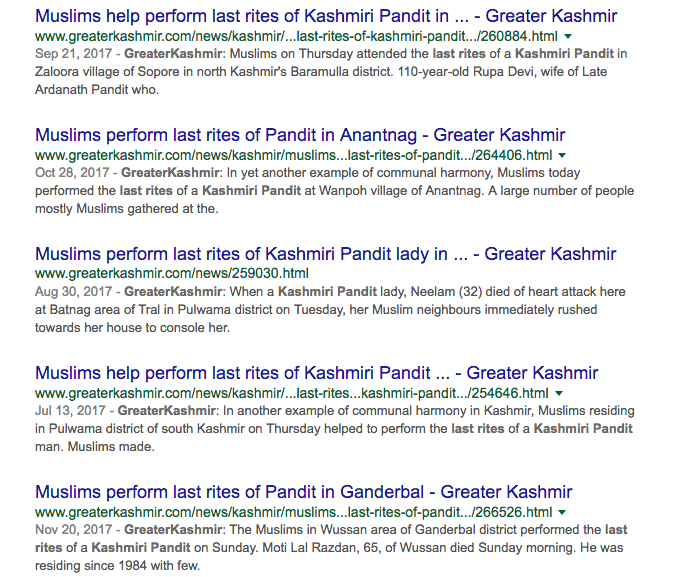 Every year as violence rages in the valley, we find media latch on to the stories of Kashmiri Muslims performing last rite of some forlorn Kashmiri Pandit. In the grand narrative of Kashmiriyat, this is the part where reader is reassured of humanity. The part where the narrator of the myth reveals some kind of generic truth that makes the whole tale all too real and human. 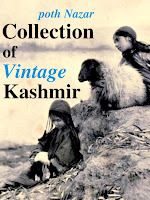 Even the reader who does not know the checkered history of Kashmir conflict, its many layers and complexities, gets the "truth" due to the way this story is told. How? And Why? "Myth is the part of language where the formula tradutore, tradittore reaches its lowest truth value. From that point of view it should be placed in the gamut of linguistic expressions at the end opposite to that of poetry, in spite of all the claims which have been made to prove the contrary. Poetry is a kind of speech which cannot be translated except at the cost of serious distortions; whereas the mythical value of the myth is preserved even through the worst translation. Whatever our ignorance of the language and the culture of the people where it originated, a myth is still felt as a myth by any reader anywhere in the world. Its substance does not lie in its style, its original music, or its syntax, but in the story which it tells. Myth is language, functioning on an especially high level where meaning succeeds practically at "taking off" from the linguistic ground on which it keeps on rolling. " Strauss postulates: "Myth like rest of languages is made up of constituent units. These constituent units presuppose the constituent units present in language when analyzed on other levels - namely, phonemes, morphemes, and sememes - but they, nevertheless, differ from the same way as the latter differ among themselves; they belong to a higher and more complex order. For this reason, we shall call them gross constituent units." He calls these units - mythemes. According to him a structural analysis of sentence based on : economy of explanation; unity of solution; and ability to reconstruct the whole from a fragment, as well as later stages from previous ones, we will see patterns, patterns that can be read. He explain the concept, he gives an example. Imagine a future archaeologist from a time when humans have disappeared and so has all information about their culture. This archaeologist comes across of book on earth having orchestra score ? How will the archaeologist know that he is looking at orchestra score. The only way he intelligible can: he will see the patterns, notes and symbols repeating, he will eventually realize that the symbols in the book have a meaning and there is music in them. Similarly, if someone really smart goes to a fortune teller, the will know that the teller's cards are limited and the "future" being read to him is having finite outcomes based on various combinations of those cards. Strauss in the beginning of his work quotes father of American Anthropology, Franz Boas: "It would seem that mythological worlds have been built up only to be shattered again, and that new worlds were built from the fragments." 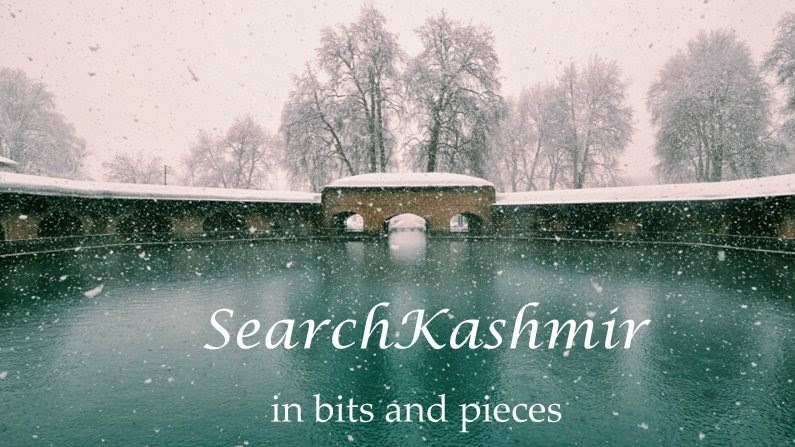 We are now going to look at the mythical fragment using which this recent discourse about Kashmiri Muslims performing last rite of Kashmiri Pandits is built. The mytheme of the story which again appear during a violent era. "The episode which has most deeply influenced them took place just after Sheikh Abdullah had come back from college [possibly 1930]. There was a religious clash in the streets of Srinagar; not a full-scale riot, but enough throwing of stones and threats of violence so that no Hindu dared cross a Muslim district. This placed the Hindus pitiably at a disadvantage, because Hindus are outnumbered nine to one by Muslims in Srinagar. Srinagar, the "City of Seven Bridges", is channelled with water-ways and busy with traffic of little pointed boats pushed with poles. Near the Second bridge [Habba Kadal] a Hindu girl was lying dead in her house. It is an injunction of Hinduism that the body must be offered up on the funeral pyre within twenty-four hours after death, but for two days she had been lying there and the family dared not carry her away for fear of Muslims. When Sheikh Abdullah learned of the girl's death he went to the house and brought away the body in a boat. 'Not even the police or government officials could have done it, ' a Home Guardsman who had been a policeman explained to me. 'I was on duty on the Fourth Bridge. I saw the boat passing down the river. Shiekh Saheb was fresh from college then, and dressed in his black student's jacket and red fez. On a wooden plank was the body of the Hindu girl, wrapped in white. Crowds were following the boat's course along the riverbank, shouting that the Sheikh was a kavog' - the Kashmiri word for low-caste burner of corpses. Sheikh Abdullah could hardly have chosen a more symbolic demonstration of his belief that human relations should transcend differences of creed. One of the sharpest contrasts between Hindu and Muslim ritual is in the treatment of the dead: Muslim bury, Hindus burn their dead." Thus we see that even back then a dead KP in the narrative served the same purpose that it does now. A prop to show the humanism in brute majoritarianism. Again we read of an act that (still) no government agency like police or any local administration can do. At least back then it was accepted and reported that the minority was in precarious situation. That the community was depended on goodwill of the majority and was subservient to their whims and fancies. In the language employed in current reports, in the present re-tellings of the "last-rite" story, the greatness of the majority is further amplified while the minority has been further obliterated. Back then the myth, built on binary of weak Kp and humanitarian KM, was used to build a personality cult, it was a single event in a narrative, now the event is held over and over again in news reported, narrative repeated over and over again to the point of propaganda, all to humanise tahreek that finds all kind of ways to use death, all just to convince the reader that the story is still the same. Muslims had found it easy to blame all poverty on the "Hindu yoke", the oppression of the Hindu Dogras, the class to which the Maharaja belonged. While still a youngster, Abdullah told me he had witnessed an incident that led him to learn that the mere fact of Hindus' oppressing Muslims was insufficient to explain poverty. He was passing though an apple orchard which happened to be owned by a Muslim, and which employed some Hindu pickers. The owner had ordered one of the men to the top of a rather frail tree, and when a branch loaded with fruit came crashing down, bringing the apple picker with it and breaking his rib, the proprietor fell on the fellow with curses for his stupidity and heavy blows from his walking stick. Abdullah accompanied the workman home and was stuck by the fact that, apart from the little cluster of plaster Hindu gods and sacred stones and flower petals in a clean corner of the hut, this Hindu family lived in the same wretched squalor as the Muslim needleworkers. Then he began visiting the shacks of quarry labourers - stone cutting is generally a low-caste Hindu occupation - and here too he found that when it came to living conditions the problems of Hindus and Muslims were identical. The fault lay in a system where a fortunate few could treat millions as chattel. As he grew older he became convinced that justice could come only with self-rule and that the people must forget religious differences and wage the fight together." What strikes in the passage is the need that is the need felt by Sheikh to make it clear that his fight is not against Hindus per se, that he stood for something greater. Today, Tahreekis make the same claim. That it is a "political issue". In the older tale, an experience, a description of a lived experience is given. However in the current tale, good intentions are to be assumed from the act of "last rite of KP". In reality, reading into the cards, the way this story is told, repeatedly, a pattern, a symphony does appear, from the symbols it is clear that all such tales end badly for KPs. They end with a KP burning on a funeral pyre and a KM besides it singing song of self-praise.